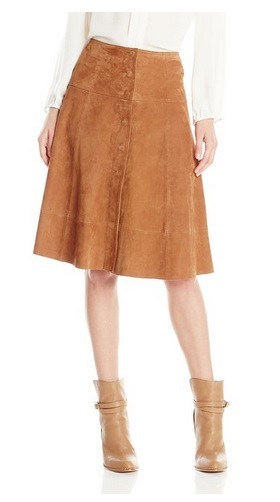 Suede skirts may have been a part of the 70s trend but this fall, every woman’s swinging in the trend. Whether it’s a maxi, mini or midi, real or faux, suede can instantly make your outfit more stylish. You can wear it with everything from your wardrobe now until the next couple of seasons. 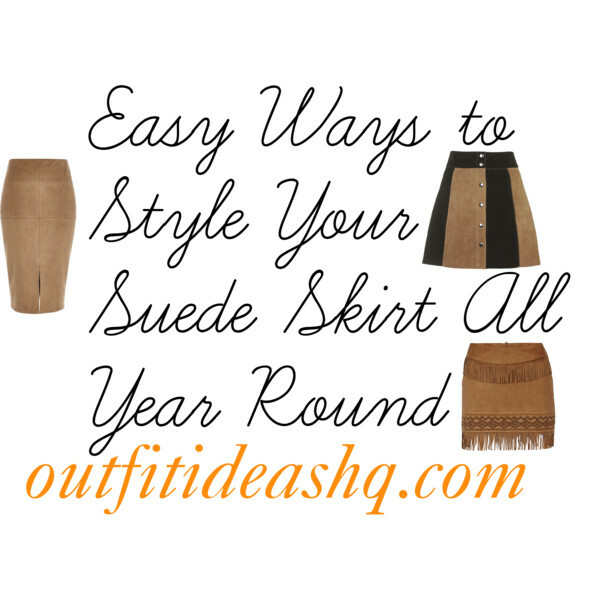 Wear suede skirt for work, your date or even the weekends. For a chic look, tuck in your chunky sweater into your suede skirt for the perfect fall ensemble. Channel your inner Parisian girl by pairing your suede mini skirt with a striped sailor shirt. Why not go full retro with a ringer tee with your favorite canvas sneakers? It’s such a pretty and sporty look. Balance heavy suede with lightweight tank or tee. It’s also a great outfit to try out for the summertime. Complete your look with casual high heels or light boots as well. For the office, pair your suede skirt with a bright blazer and maybe flats. If your workplace is more formal, go with the classic stilettos instead. 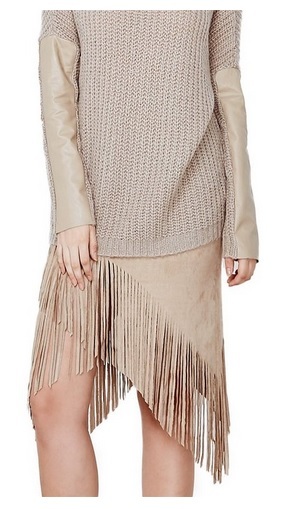 Style your bold suede fringe skirt with simple tops such as a simple black sweater and minimal accessories. For a girly twist, mix the suede’s earthy tones with pastels or light colors.